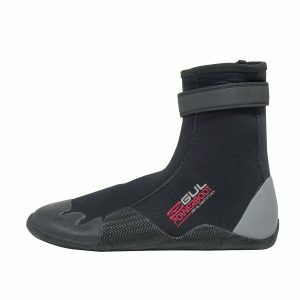 These are 3mm neoprene wetsuit boots with elasticated side gusset, velcro fastening and good solid sole. 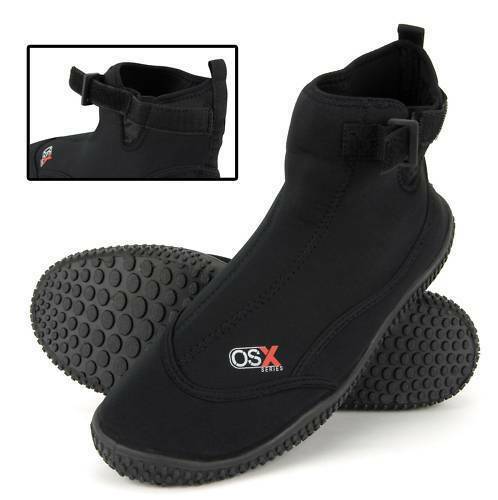 These boots are much easier to get on and off due to the elasticated side gusset. 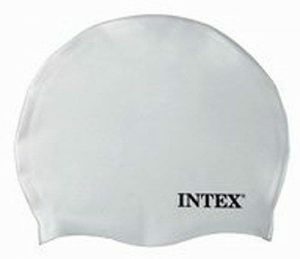 They then tighten using the velcro strap for a secure fit with no risk of falling off in the water.